As I’ve previously written about Minecraft, you should know that it is my son’s absolute favorite game in the world. While he’s awake he eats and breath Minecraft, while he’s asleep he dreams about Minecraft. We try to limit his screen time to prevent what we refer to as “Mushy Brain Syndrome” (that blank look kids get from staring at a TV for too long), so when he gets screen time he almost always picks Minecraft. My son was very excited for the recent Minecraft Pocket Edition update as he now can do multiplayer across multiple platforms. Now he’s even more excited that Minecraft has a story to it and that he can play that next. 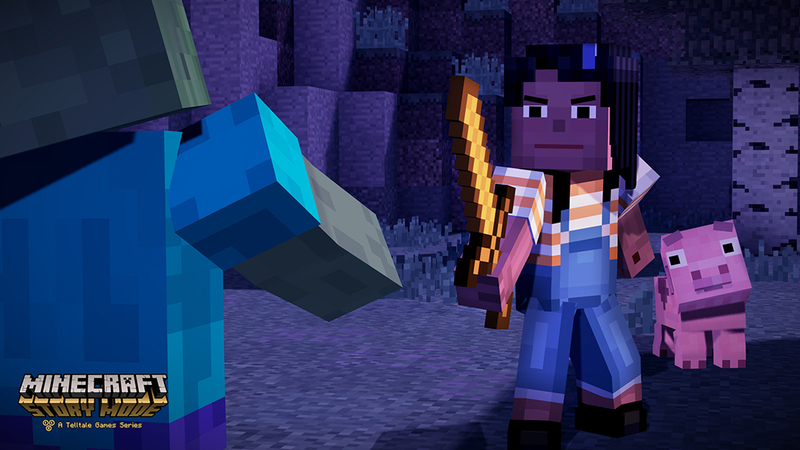 In Minecraft: Story Mode you play as Jesse (in either male or female form) and are on a quest to find the “Order of the Stone” and save the world. You make friends along the way and have adventures that take you through the Overworld, Nether and the End. The game is being released on PC, Mac, Playstation 3 and 4, Xbox One and 360 on October 13th. It will be available on Android and iOS on October 15th. Check out the trailer below (and if you are like my son, check it out over and over and over and over and over and over again…)!